I’ve been looking forward to Spectre for a long time. I’m a big James Bind fan, I like all the movies except for the Pierce Brosnan films which for some reason I really don’t like at all. I guess I just found him too smarmy and the films too generically action orientated. The Daniel Craig movies have totally rejuvenated the fortunes of the most famous spy in the world but after the wonders of Casino Royale and particularly the recent Skyfall film, was there anyway to go but down? 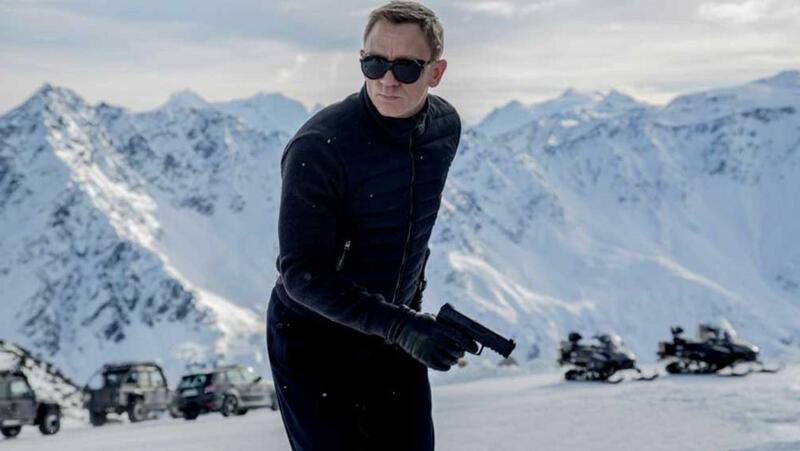 Spectre – The latest James Bond film starring Daniel Craig. I liked Spectre a lot and so did my wife. It is very different to Skyfall in many ways though it keeps the plot personal to James Bond. In someways Skyfall was almost a popular celebration of British pop-culture, it taking place in 2012 in the same memorable 12 months as the Olympics and the Queen’s anniversary. It showed of London and indeed Scotland wonderfully. M: You’re a cocky little bar steward aren’t you? C: I’ll take that as a compliment. 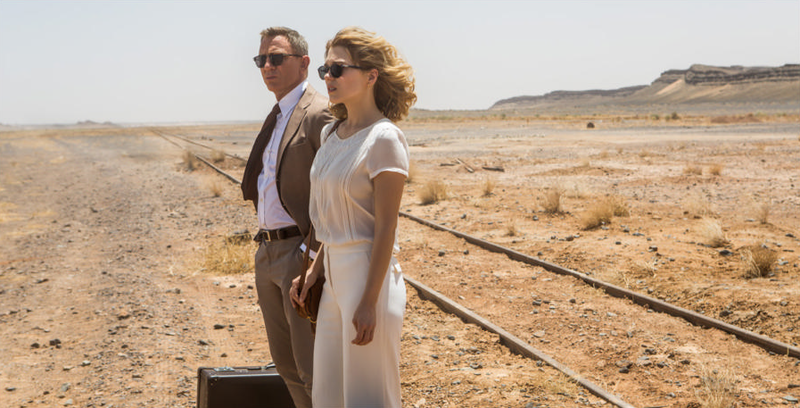 Spectre though is more firmly in the tradition of the classic James Bond film with a vast array of settings from Mexico City to Rome and then onwards to Austria, Tangiers in Morocco and back to London. The scope of the film was at times quite epic, the opening scenes in the Mexican Day of the Dead carnival were incredible to behold. The opening scenes in Mexico City are epic. Without giving too much away of the film, the plot basically revolves around the 00 programme being phased out in a re-organisation of the British security services. A new building and way of operating intelligence using data hacking and drones is perceived to be the way forward led by the cocky C. British audiences at least will know what type of C he is! Soon not only Bond but M, Q and Moneypenny are out on the street by this new privately funded led multi-national intelligence sharing organisation. We better hope that none of this is going to be manipulated by anyone with evil intent! Franz Oberhauser: Why did you come here? James Bond: I came her to kill you. Franz Oberhauser: I thought you came here to die. Despite her death in Skyfall, Judi Dench manages to make an appearance which sets James on the heels of a shadowy criminal organisation which as any James Bond fan will know from the films of Sean Connery and Roger Moore are known as Spectre. This time Bond is on his own having been relieved of his duties. Bond on the loose in Mexico City…..
After getting some inside knowledge off the wife of a gentleman he assassinated in Mexico, Bond ends up gate-crashing the next Spectre meeting in Rome. It all goes badly wrong though and it leads into an epic car-chase as he is pursued by some of us will recognise to be WWE wrestler Bautista. Bautista makes for a formidable physical opponent with one particularly epic fight scene and as is the way of Bond movies, if someone doesn’t die on screen, they could very well be back. I hope so as he could be the 21st century of Jaws, I mean the big guy with steel teeth and not the shark. Spectre (SPecial Executive for Counter-intelligence, Terrorism, Revenge and Extortion). It has its tentacles everywhere. More than is usually the case, Q and Moneypenny have quite a bit to do and Q in particular is a barrel of laughs and even gets into the action himself when some Spectre henchmen follow Bond to a remote Austrian mountain top clinic to rescue the blonde and incidentally rather attractive daughter of a Spectre member who helped Bond in order to save this same young lady. Some people have said that the Daniel Craig era films aren’t so humorous as some recent incarnations but I always found them to have an increasing number of laughs, you just have to not be expecting an out and out comedy sketch. Spectre has more than any of the others and I laughed quite a lot at Bond, Q and even M.
As well as the beautiful vistas, Bond displays a more caring outlook on life towards the women he meets in the film but then he did so in Casino Royale and look what happened there. Finally James Bond ends up at the lair of the villain in question. I won’t say any more about that except that it met my expectations. It also ties in the previous Daniel Craig era films in a way that some of us thought might be the case but it was nice to see Vespa, M and others, including the villains remembered. The finale takes place on a dark winters night in Whitehall and Westminster in London. Good use is made of some of the iconic landmarks whilst also some mundane looking locations and brings together the idea of Spectre and also the cessation of the 00 programme in London. In fact it may have been just me, and indeed it was at my cinema but I was a bit annoyed I worked out the links instantly near the beginning of the film. The movie finishes with some great set-pieces in London and for once Bond and a more intellectual young lady actually get to have a happy ending for once. Madeleine Swann: What happens if I accidentally shoot you? Bond: It wouldn’t be the first time! The film is about 2.5 hours, making it the longest Daniel Craig era Bond film but it doesn’t seem to drag. The film isn’t as intense as Skyfall or as “new” feeling as Casino Royale was but it does bring the events of all the recent films together in a satisfying finale. 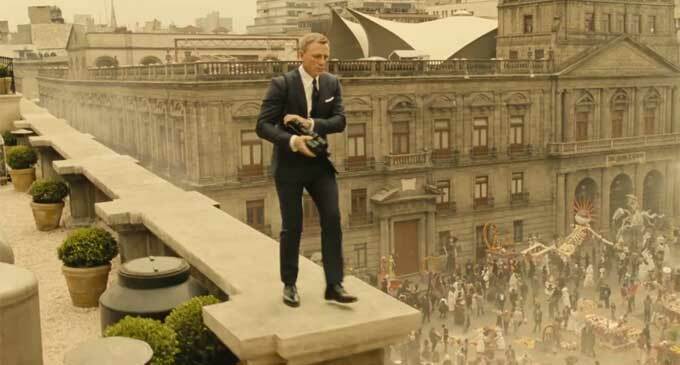 There are also a number of action set-pieces with impressive stunts as well as nods to the older classic Bond films. 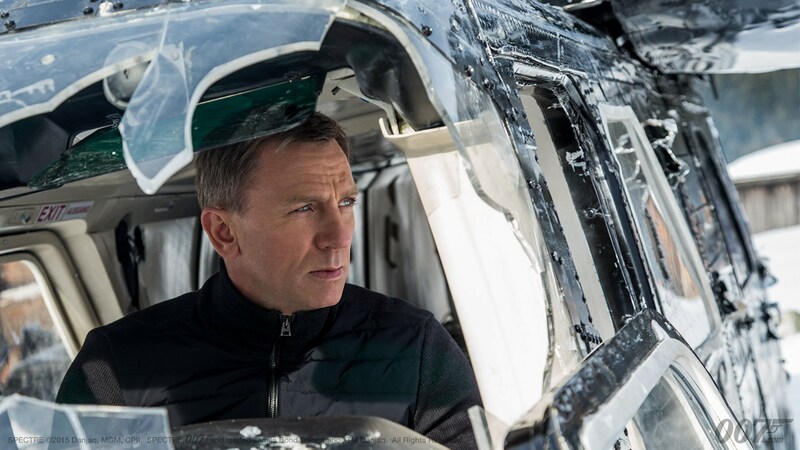 Helicopters feature heavily in Spectre. As my favourite film reviewer says, few films can’t be improved with an exploding helicopter! It’s not a super-violent James Bond either unlike one or two recent films in the series though there is one particular torture scene that will have you squirming in your seats. Spectre also takes a timely look at the ever increasing surveillance culture in the name of stopping terrorists in the U.K. and many other countries. Daniel Craig is again incredible and I do hope he sees out his contract to make one final 007 film. If you like James Bond and would like to visit some of the London locations in Spectra, Skyfall and many other Bond movies then why not book one of my new James Bond Walking Tours of London with Ye Olde England Tours. Mr Bond… meet Franz Oberhauser aka as Ernst Stavro Blofeld. Spectre is the most expensive James Bond film every made, coming in at £4 million for every minute of this 2.5 hour long film. Of course with such a long history of Bond movies, each James Bond actor has his own unique character with each era having its own distinct style. Have a look at this incredible infographic below to see how Daniel Craig stands up to all the other incarnations of this super-spy. 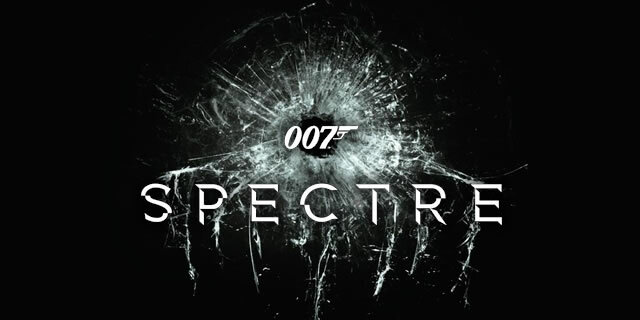 See below for the full length trailer for Spectre. This entry was posted in Cool Britannia, London, Movies and Films, Ye Olde England Tours and tagged Cinema, Culture, Daniel Craig, Films, James Bond, James Bond Walking Tour of London, Life, movies, Opinion, Spectre, Spectre Film Review, Ye Olde England Tours. Bookmark the permalink. Great re view I have every intention to see this movie regardless of the review but I’m glad you gave it your stamp of approval so if the movie is bad I have someone to blame LOL. Seriously great job I do want to check it out.